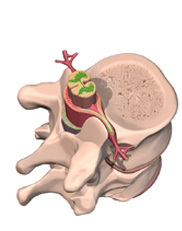 Laser disc decompression is a state of the art minimally invasive treatment. The surgery requires only a tiny incision near the affected disc site where a laser probe is then guided and secured into position at the site of the protruding disc using a special type of X-ray. Once the probe’s position is verified, the affected area is vaporized via laser beam (pinpoint light energy) creating space around the spinal nerve. This may potentially alleviate the pain caused by the pressure that was once placed on the nerve. The entire treatment may take anywhere between 10-30 minutes and is done as an outpatient procedure. Patients will be able to resume daily activites soon after.